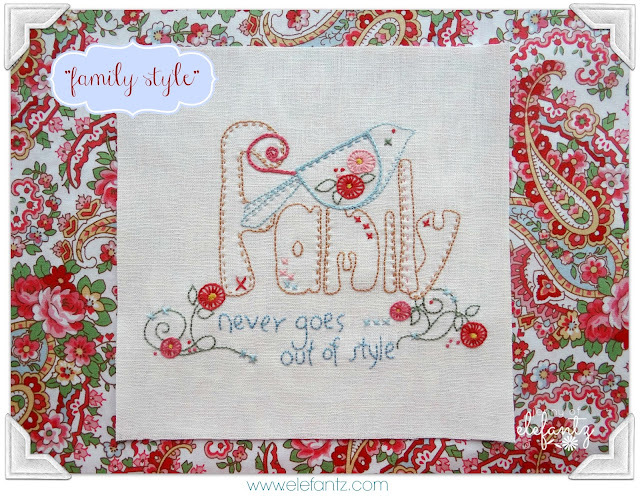 The theme for The Stitchery Club in April is "Family & Friends", so the designs I have created for this special issue reflect the love and care we give to, and receive from, our nearest and dearest. There's a variety of styles in the six patterns this month, and hopefully at least one to suit an occasion marked on your calendar this year. 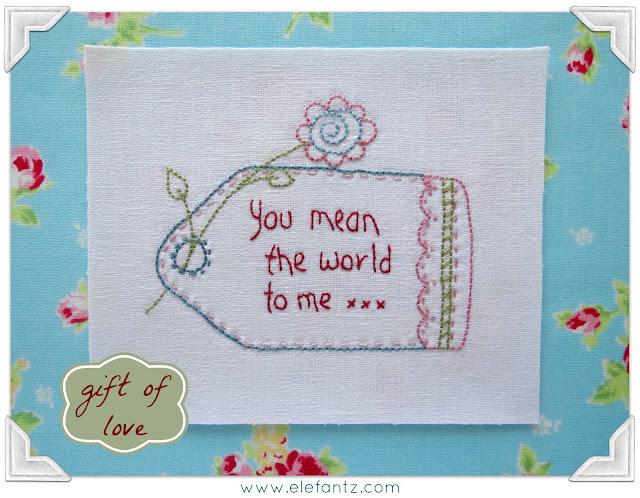 Of course, one of the nicest gifts to receive is the one you didn't expect, so perhaps you'll be stitching a few 'just because' tokens of love and affection as well? The project sheet for this issue is a double one. 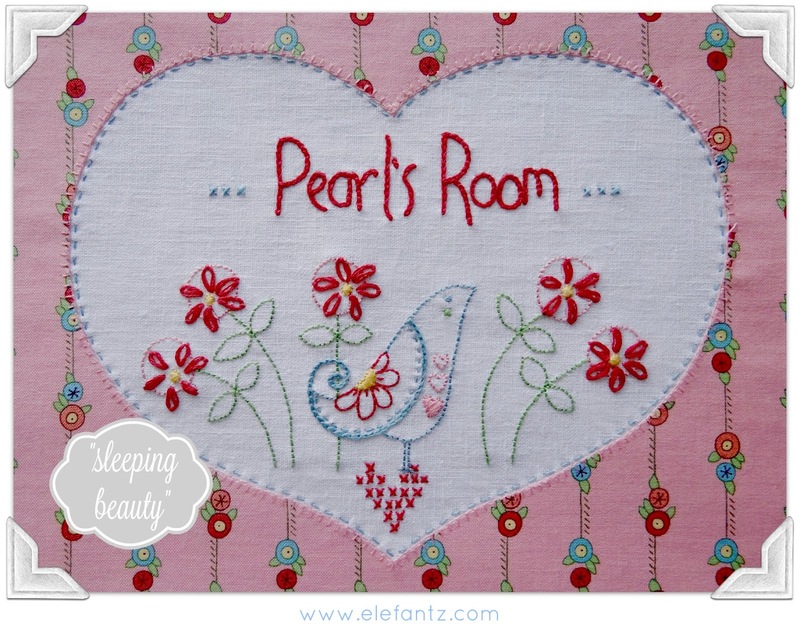 I'll show you how to make "Sleeping Beauty" into a pretty pillow (full alphabet included to stitch the name you need), plus a simple door sign using "Drift & Dream". 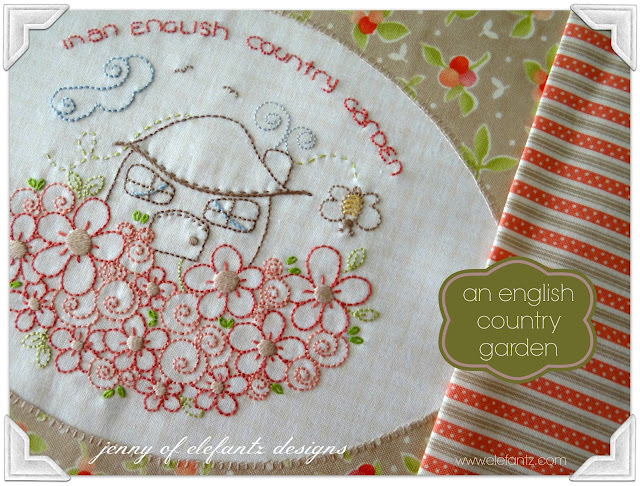 Your FREE GIFT for joining the Club by April 16th is the pattern "English Country Garden" which I'll email to you within 12 hours of membership confirmation. This lovely stitchery will keep your fingers occupied whilst you await the arrival via email of your six new April patterns on the 17th of this month. 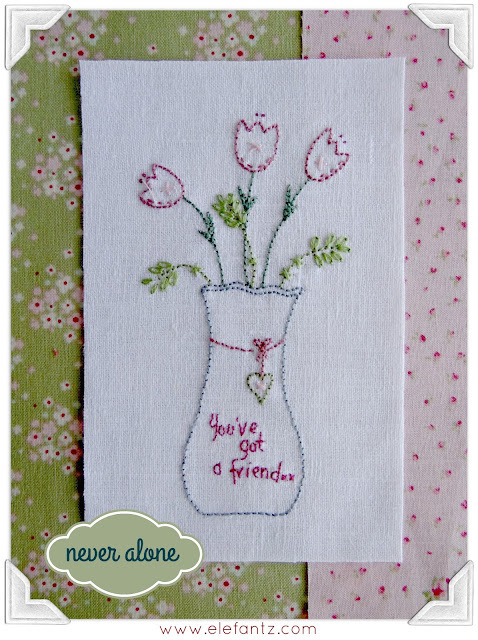 A welcome feature of joining The Stitchery Club is that you are not locked in to a set time frame. You can join now and leave whenever you choose, be that in a month or a year. You're in charge of your membership, and you never need give me a reason should you choose to leave - I respect your privacy. You can visit the Club page HERE to read more about it, or you can simply click the relevant button below and join right now. 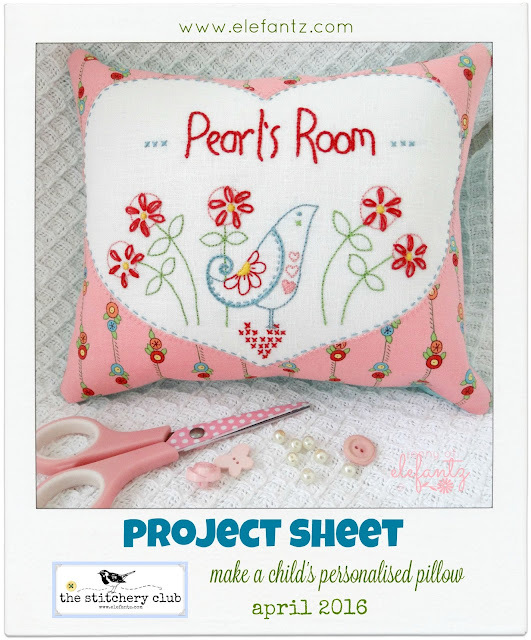 It's $9.95 per month and you will receive six NEW patterns via email on the 17th of every month. These patterns individually purchased from my shop will cost you between $18-24, so being a Club member is a great way to build up a pattern library inexpensively. I'd love to see you in our Club! Are you ready to play? Hope daughter is doing better. Praying for her and the family. Another month of beautiful designs. So many beautiful projects again. You never seem to run out of ideas. 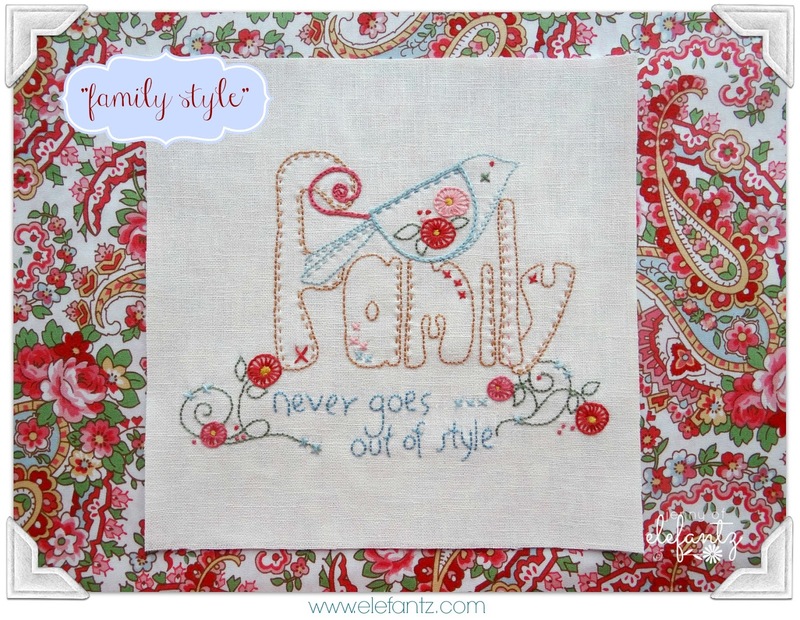 Despite life's ups and downs your creative spirit thrives. I am still sending angel healing hugs to Blossom. All are beautiful. My favorite is the seahorse. That is so appropriate for the bedroom of a baby ... in blue or pink. You will need one of each :) Hugs. God bless you and your family. Oh so wonderful for April! Thank you so much. 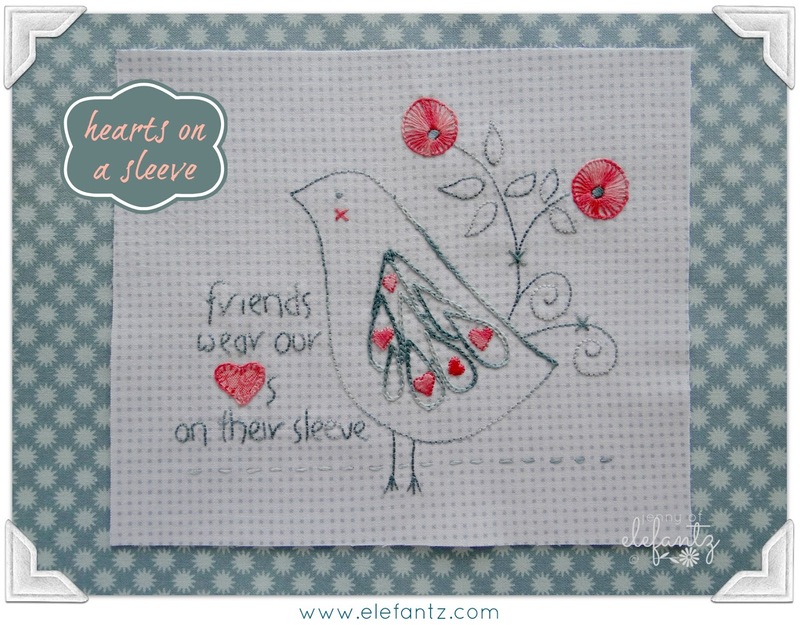 Love the bird with the hearts sleeve. =) I'm praying for both of your girls and their precious new babies. Gorgeous Jenny! You really knock it out of the park every month!! 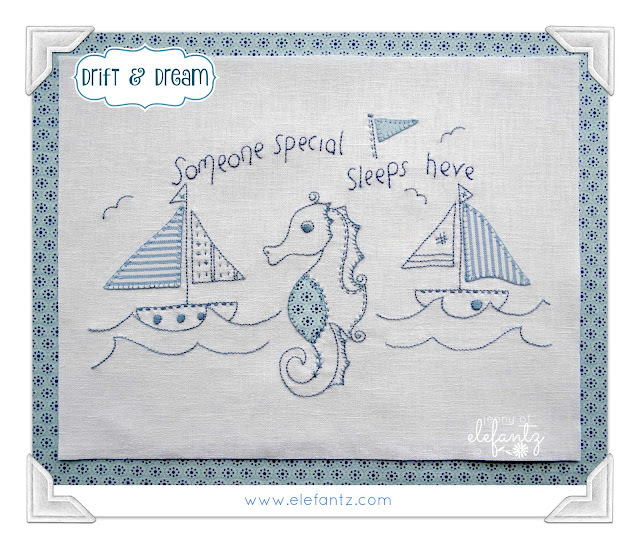 So adorable - love that seahorse, Jenny!